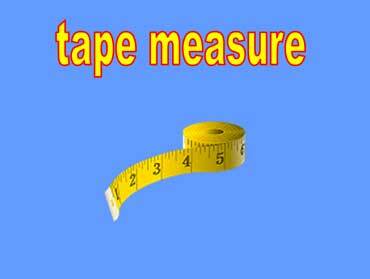 Tape measures are used to measure fabric. Most tape measures are yellow with black numbers. Tape measures are longer than rulers. A pincushion is used to hold pins. 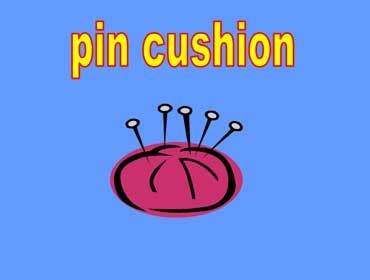 There are five pins stuck in this pincushion. 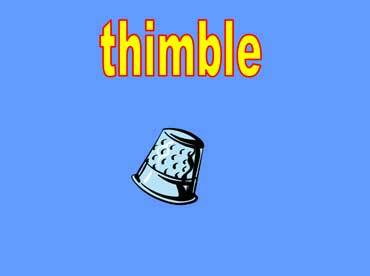 Thimbles are worn on fingers. They protect fingertips from sharp needles.